To make the construction preparation process easier, we have built several worksheets and construction tools for planning based on experience that you can use to organize and manage your home improvement, new construction or remodel project. 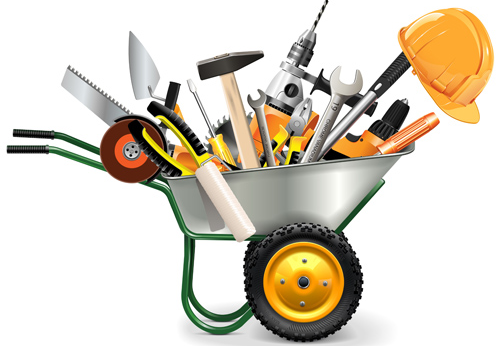 Pick and choose the free DIY construction tools you find most useful to you. We recommend you also compile a job folder to keep track of all your project documents. The key to a successfully managed project is knowledge, organization, productive scheduling, advanced ordering of materials and frequent communication. Stay current in your communication with your subcontractors. Relay important information that may affect scheduling or work descriptions as soon as you know it may become a factor. Last minute surprises often create delays in work schedules. If you aren’t sure how to remodel a kitchen, a bathroom or even if you have experience with various home improvement projects. These construction management worksheets were made for you. Questions to prepare you for your future project. Common mistakes and challenges that come up. What do you do now that you have a budget and know what you want to do. Prepare yourself for the price variances for materials selected on your project. Make an organized bid list of all subs and contractors who bid your project. Visually prepare for your project. See what you should look for in your contracts with your subs. Schedule with your selected subcontractors. A visual look at a month during your construction project. Be prepared for scheduled progress payments based on work completed. Stay on top of your project, communicate and update your timelines. Be prepared for inspections ahead of time. When your project is done and your contractors are all paid make sure they all provide you with lien releases.